XPO (an object-relational mapping library – ORM) supports more than a dozen database engines (including SQL Server, Oracle and various Open Source products) and recently got updated to support Firebird 3 too. In addition to SQL Server, MySql, PostgreSQL and SQLite, XPO for .NET Core / .NET Standard 2.0 supports ADO.NET provider 5.11+ for Firebird starting with v17.2.5. As we noted in our introductory post, the lack of support for other providers is not an XPO limitation – as soon as RDBMS vendors begin supporting .NET Standard 2.0, we will test XPO with these RDBMS providers and add them to our supported list. 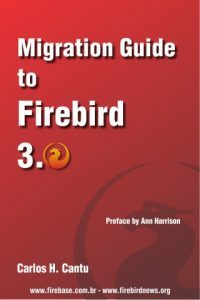 Support for Firebird 3.0 server and the client ADO.NET data provider (FirebirdSql.Data.FirebirdClient 5.8.0) will be available in v18.1. We will also support the Substring criteria function that was missing before.